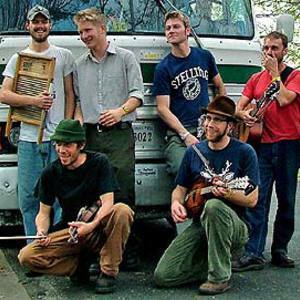 The Hackensaw Boys first began playing their joyful blend of old-time and bluegrass-tinged string-band music on the streets of Charlottesville, Virginia in the autumn of 1999. Far from limiting themselves to the old-time canon, however, the Hackensaws have been first and foremost a band of songwriters. Their music, while drawing upon the spirit of the mountains, is sophisticated and informed by the best elements of punk rock and classic country music. As one reviewer put it: ?Imagine the Carter Family meets the Ramones and you begin to get the picture.? They are sometimes joined live by founding member Tom 'Pee Paw' Peloso on fiddle, upright bass and vocals.